One can be better than two when it comes to health and social care integration – looking forward to the Scottish announcement. IMPOWER have been working with Herefordshire to integrate operational practices. This blog represents our reflections on our work. To keep people out of hospital and living well in the community requires health and social care to work closely together ‘hand in glove’ towards common goals. It is fundamental to being able to tackle the problem of sustainable public services in the long term. But different cultures and approaches to care, professional boundaries and different language means this has been very difficult, if not impossible to achieve. One such example is a District Nurse’s ‘holistic assessment’ covering ‘head to toe’ from a physical perspective, not including any mental health or learning disability considerations or indeed any social care needs. We have recently noticed increasing tensions by those in leadership positions, as well meaning initiatives to ‘change the game’ come to nothing. In England, the Health and Wellbeing Boards currently being set up are Lansley’s proposal to solve the problem. Immense expectations are being set on Health and Wellbeing Boards around their ability to get over the hurdles of integration. Where strong personal relationships exist at a leadership and operational level, no doubt some of these Health and Wellbeing Boards will succeed. However in many cases the lack of strong personal relationships, particularly in the light of such fundamental change at the leadership level in the NHS, mean that they will struggle. Bringing health and social care together more formally to underpin the Health and Wellbeing Boards can help to overcome this reliance on strong personal relationships. In our experience doing so can make those involved think very differently, and better decisions can be made as a result. Herefordshire is one of the few places that have already done this with health and social care responsibilities delivered together through its provider organisation, Wye Valley NHS Trust. Its approach is beginning to pay dividends. At Herefordshire IMPOWER have helped implement a single personalised approach for community health and social care to support this move – believed to be one of the first in the country. With joined health and social care responsibilities, it was a straightforward decision to combine reablement and Intermediate Care into a single service. In addition the development of the single personalised approach provided a forum for social workers, district nurses, occupational therapists and physiotherapists to understand for the first time how their professions truly interlinked. Despite the ‘general assessment’ of needs, it has strengthened professional competencies, by creating clarity around where expertise is required. In particular all professions now understand how hard social workers work as the ‘glue’ around all of the professional input, as well as providing professional expertise around complex social needs. However the facts show that at a local level, decisions to combine health and social care responsibilities are rarely taken – there is too much to lose. Only if there is a very strong imperative will organisations combine responsibilities – for Herefordshire this was financial sustainability in a very rural situation. Integration decisions around health and social care made at a national level but planned and organised locally will mean more have the ability to benefit from the potential this provides. The announcement from the Scottish Government around its proposed model for integration of health and social care, due this month, is therefore an important landmark, and could well help change the game around health and social care provision to deliver sustainable public services. English authorities should take note. If you want to know more about how to overcome the practical issues of integrating health and social care please contact Martin Cresswell, David Welsh or Georgina Owen. 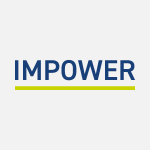 Martin Cresswell is Chief Executive at IMPOWER. To contact him to discuss this blog or any aspect of our work, please e-mail mcresswell@impower.co.uk or call 020 7017 8030. David Welsh is a Director at IMPOWER. To contact him to discuss this blog or any aspect of our work, please e-mail dwelsh@impower.co.uk or call 020 7017 8030. Georgina Owen is an Assistant Director at IMPOWER. To contact her to discuss this blog or any aspect of our work, please e-mail gowen@impower.co.uk or call 020 7017 8030.